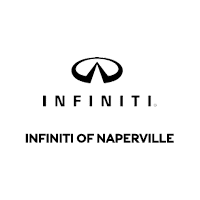 At INFINITI of Naperville, you can always expect that we use only top-of-the-line auto parts when you bring your vehicle in for maintenance or repairs. Genuine INFINITI Parts and Accessories have been meticulously crafted and durability-tested. For added peace of mind, Genuine INFINITI Parts and Accessories also come with a warranty. You can be sure that the parts we used are designed for your particular make and model and are ready to stand the test of time. Extended Hours for Your Convenience – In addition to our weekly hours of 7:00 a.m. – 7:00 p.m. Monday through Friday, we are open on Saturday all day from 7:30 a.m.- 6:00 p.m. to accommodate your busy schedule.